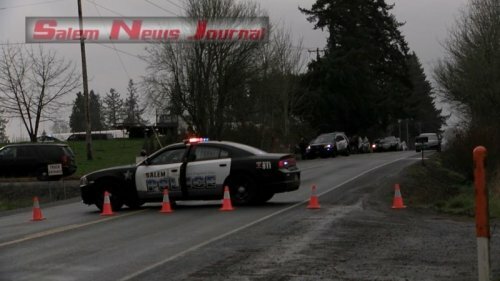 Salem Police Officers were involved in a shooting along State Street late this afternoon. After spotting the suspect SPD made every effort to avoid a car chase with him. 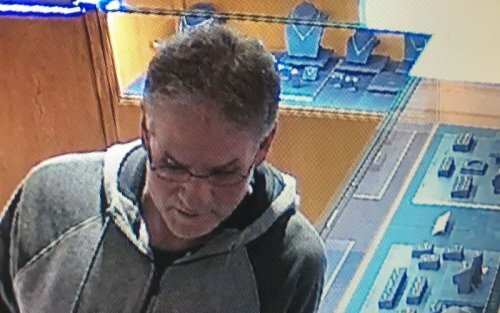 A man robbed the Jackson’s Jewelers in down town Salem of a $12,000 ring back on February 6, and the Salem Police are asking for the public’s help to identify the suspect. He entered the store at approximately 2:10 pm on that Tuesday, and engaged the clerk in conversation asking to see several rings. Albany Police responded to an armed robbery at Go Wireless, located at 1365 Clay Street SE, Albany, Oregon. The suspects forced a female employee to open a safe and took several large bags of an undisclosed amount of property, then fled the scene in a vehicle. 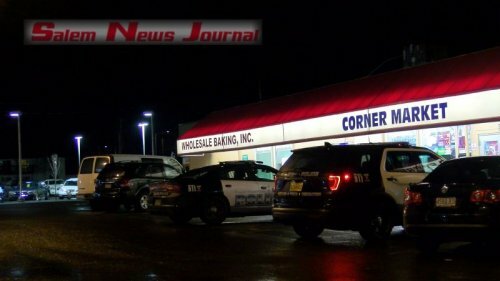 Yet another robbery in Salem was committed at the Circle K store early Sunday morning by a lone suspect. After arriving on scene and setting up a perimeter around the area of the store police started a K-9 track. 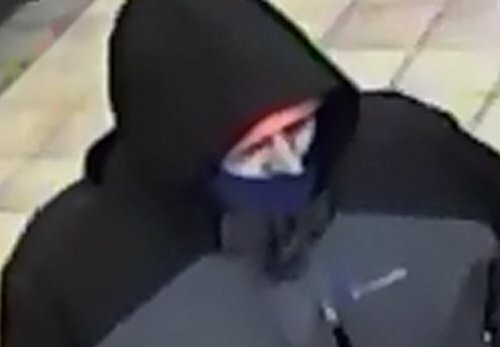 A serial robber is still at large in the Salem area and the Salem Police are asking for your help. 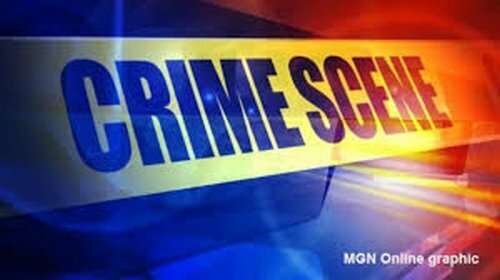 The incidents have all occurred later in the evening and in several of the robberies the suspect displayed a small handgun. 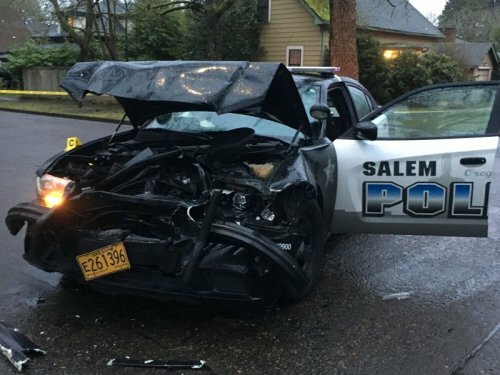 Four Salem Police Officers were involved in a on duty shooting following a dangerous incident in which a motorhome struck two police patrol vehicles. Sergeant James Welsh, Corporal Andrew Connolly, Corporal Mark Seyfried and Officer Pence Hodges all fired at the suspect during the incident. 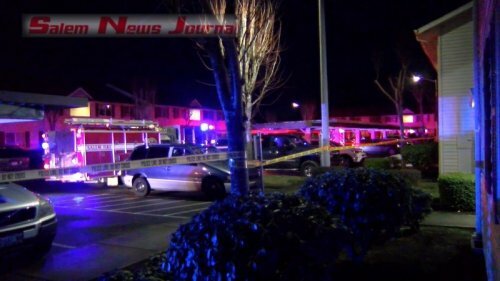 Some one was shot tonight at apartments on Fisher Rd early this evening. 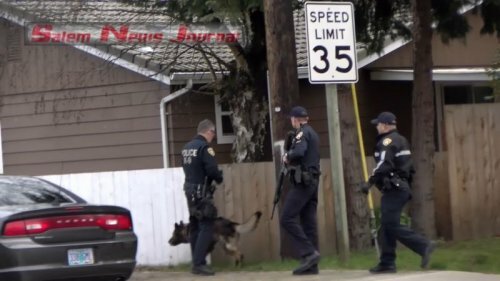 Neighbors told Salem News Journal that they heard shots and then a woman screaming. Salem police are on the scene and working the case. 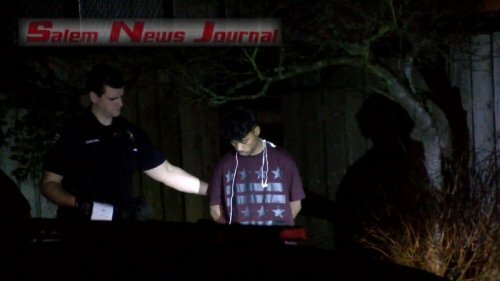 Tonight there has been yet another robbery this month in Salem. Police have not released any other information on this incident, but we do know this is just the latest in a long string of robberies Salem police are working in the first month of 2018. A gunshot was fired at city hall Saturday evening striking one of the civic center windows. 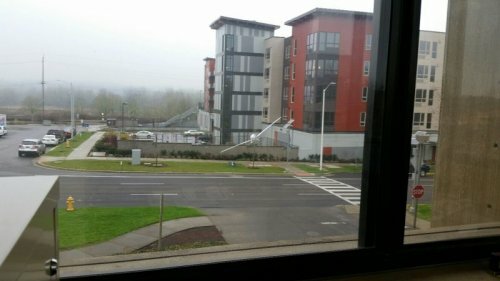 On Monday civic center employees discovered a west facing window on the main floor of the library had been damaged. Early Saturday evening Salem police responded to Highland Ave. where they worked a crime scene in front of the neighborhood church until about 8:15pm. They say it was some kind of assault, but don’t yet know what kind.